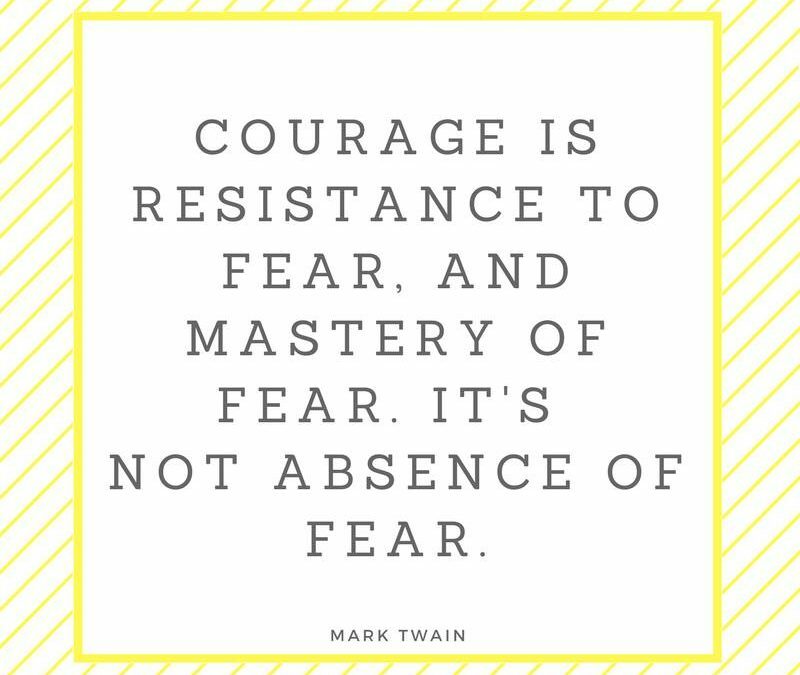 Make your life about courage. Can we stop mimicking the movie “Groundhog Day?” I am astounded by how many people live the same day over and over again. We get married, we work, we raise kids, and our lives go to autopilot. And just like the movie, we are destined to live the same day of stress, busyness, overwhelm, and mindlessness until we figure out how to do it right. We get set in our ways because we get set in our thoughts and emotions. Did you know that the average person has between 60-70 THOUSAND thoughts a day, and 90% of those thoughts are repeated the next day? This is the real reason why you cannot get out of your own way because every time an opportunity presents itself, you jump to the same thought patterns. And those thoughts, and excuses are designed to keep you down. You will never be ready or motivated, until you take action. You will never have time, until you make time. You will never be able to think about solutions, until you let go of your excuses. We go to school for years, and no one teaches us about food, health, and our own minds. No one tells us that to master our minds and our fears is to master our lives. No one tells us that empowerment is crucial to health, and fear and stress is detrimental to it. No one explains the basic laws of health and happiness. The truth is that health, happiness, a good marriage, great relationships, courage, empowerment, inspiration- these are INTENTIONAL choices. But for far too many they are not the way of our lives, they are the regrets of our lives. Health, happiness, great relationships, courage, empowerment, knowledge, and inspiration don’t come to just anyone- they come to those who CHOOSE them. This is what I teach in my programs. To learn more about how to become part of my heath and happiness movement, send me a message.